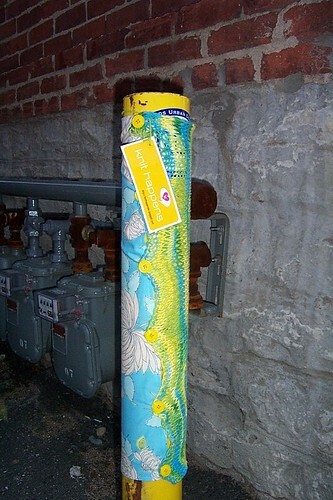 random pole, but cute!, originally uploaded by knithappens_kc. HOTNESS!!! Is that fabric and knitting, ahhhh yeah!